Are your water bills too high? Have you replaced your fixtures and appliances with water efficient ones and reduced your use of water to little avail? Or are you already aware that you might have leaks, but don't know where they are? Most people catch indoor leaks pretty quickly, but outdoor leaks can be harder to find, especially with the irrigation system. If you find a sudden spike in your water bill, you are able find out right away whether it's from extra use indoors or outdoors, by testing each meter. You'll then have to check only half the area for leaks. Since sewage charges are calculated from all meter readings, except dedicated irrigation meters, you may be paying too much. Check to see how sewage is billed. If it's billed by a flat charge, you're ok. 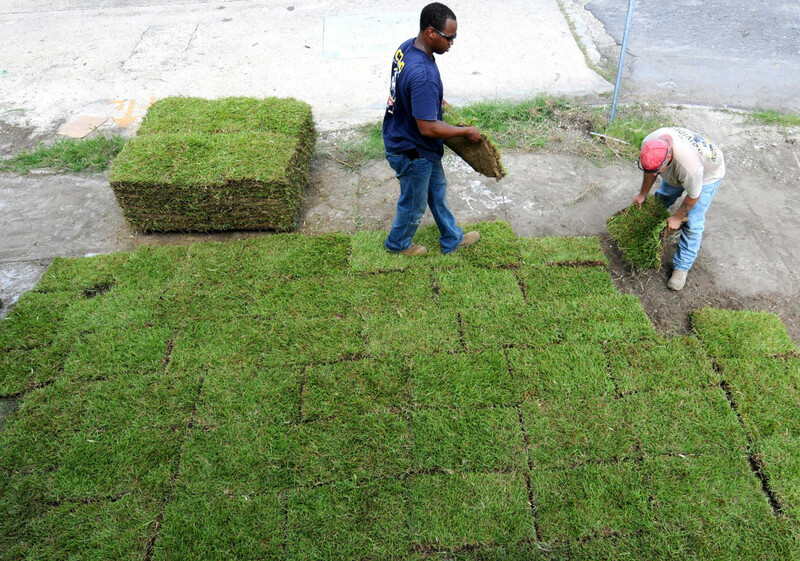 If it's billed by the amount used, you may be paying sewage charges on your landscape use, too, which you don't owe. Once a dedicated meter is installed, check the main meter (called a mixed meter) to see how much water you normally use per month for indoor use. That's the only thing sewage should be billed on––indoor use to help maintain the public sewage system. 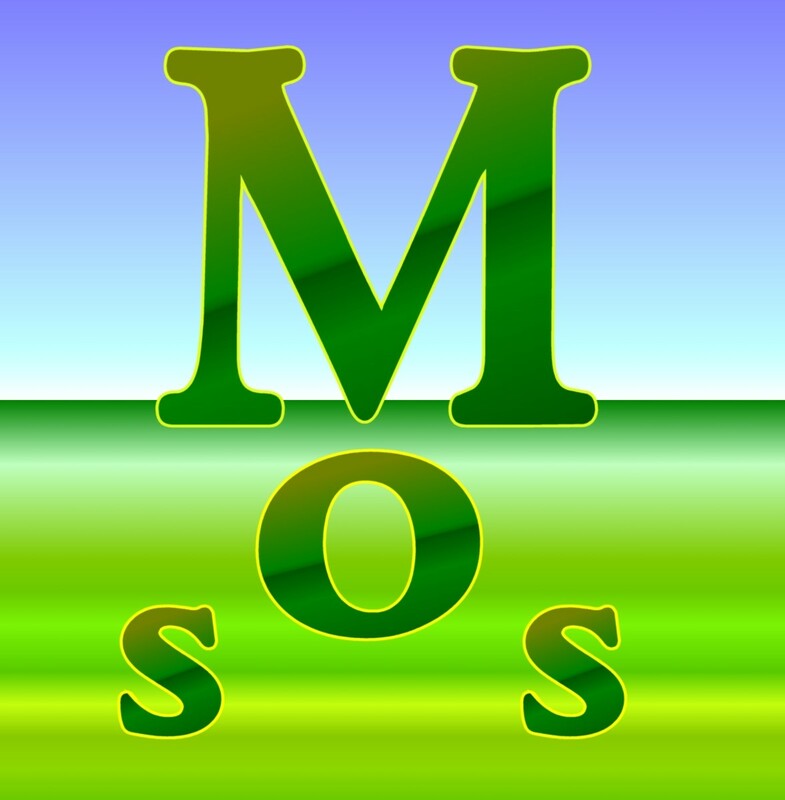 Multiply that amount by the sewer rate charged by your water provider. If you have been paying more than that each month, the water provider may owe you money. Some water suppliers will refund the homeowner for prior overcharges, so install the meter first, do your checks, then call them. How do you pay sewage? Look on your water bill. How are your sewage rates charged? Flat rate - I only pay one charge that's the same every month. Variable rate - I only pay for whatever I use. It changes bill to bill. Mixed rates - I pay a flat rate, plus variable for the amount I use. The following instructions presuppose that you have a dedicated meter. If not, you can still use your house's mixed-use meter to run this check––just make sure that all water is turned off before starting, both inside and out. 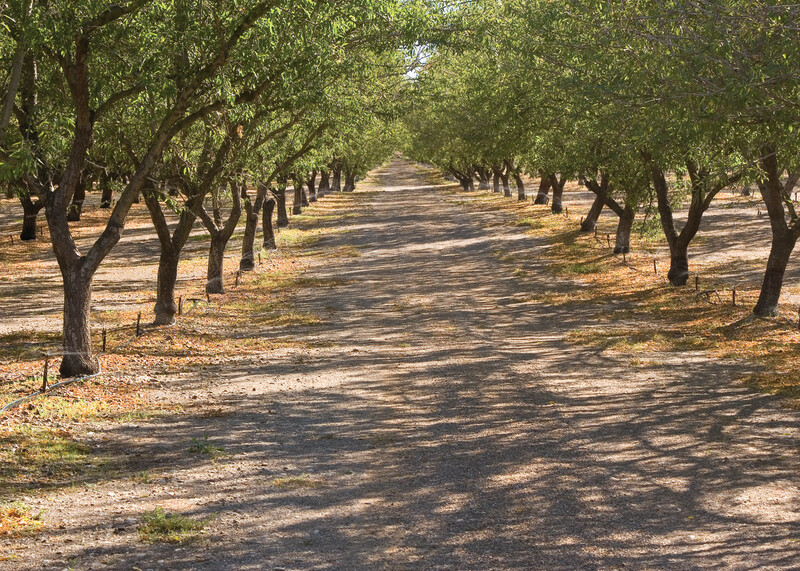 Set aside a day to turn off the irrigation system to go through your checks. Find your water shutoff valve––somewhere between the house and street––and turn it off. Give it about twenty minutes for water in the system to stop flowing. Now check your meter. Is it still running? Is the triangular/circular leak indicator showing? If yes, you have a leak. Next it's time to find out where that leak is. The procedure is to check the irrigation controller, then the valves, then the sprinklers. If you still haven't found it, then you'll check for underground pipe leaks, for which you may want to purchase equipment. When you're ready, here's what you do for the first step––checking your irrigation controller. Controllers, themselves, don't leak water. What they are is an electrical clock that tells the sprinkler valves when to release water through the sprinklers and for how long. What you're checking for, when you look at the controller, is to make sure that the programming is reasonable. Sometimes, for whatever reason, a sprinkler station (collection of sprinklers under one timer) loses its programming and goes on default, which may be totally the wrong schedule for you. My water-use audit team once found a small hotel whose controller was totally mis-scheduled––turning sprinklers on for hours at a time every Saturday, when his water supplier required them to be off. He would have been fined, if they'd caught it. We reprogrammed it to a reasonable schedule and taught him how to do it too. Subsequent calculations predicted he could save 75% of his water bill from that one move alone. Next locate and inspect each of your valve boxes. Are they flooded or dry? They should be dry. If they're wet, check them carefully for worn parts, loose wiring, or water leaking out between fittings. Post an alert flag next to problem boxes and leave the cover off to come back to when this check is finished. If you are doing the repairs yourself, estimate and purchase the parts you will need and make the repairs all at once, before going on to test the rest of the system. (See the valve repair video in the next section.) 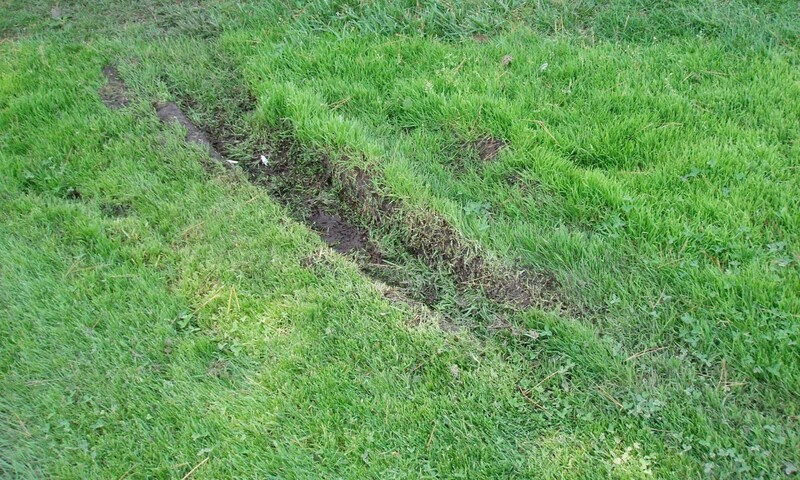 If you are not making repairs yourself, you might want to start a list of the problems you find for your landscaper or plumber to take care of. Once the controller and valves have been tested, it's time to start checking sprinklers. 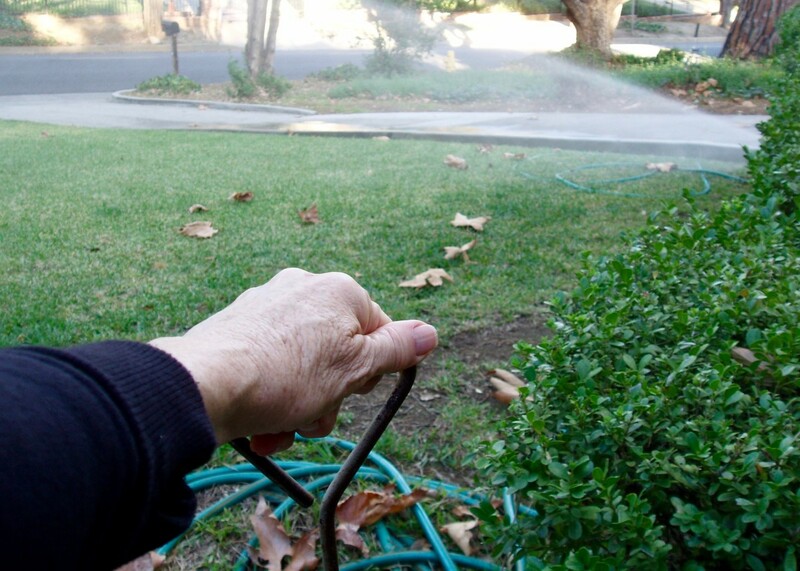 If you have a large landscape, you will need the help of another person––one to stay at or near the controller to turn stations on and off, the other to walk around the sprinklers, as they come on, and take notes. The walker should also be carrying alert flags to mark whatever problems they find for later repair. Water geysers––tall spouts of water that indicate missing or broken sprayheads. Floods around the base of a sprinkler. Grass may need to be cut shorter or a short riser replaced with a taller one. There could also be an old valve that is not shutting off properly, especially if a number of sprinklers in the same area are leaking. You might want to check the valve that supplies that sprinkler again. 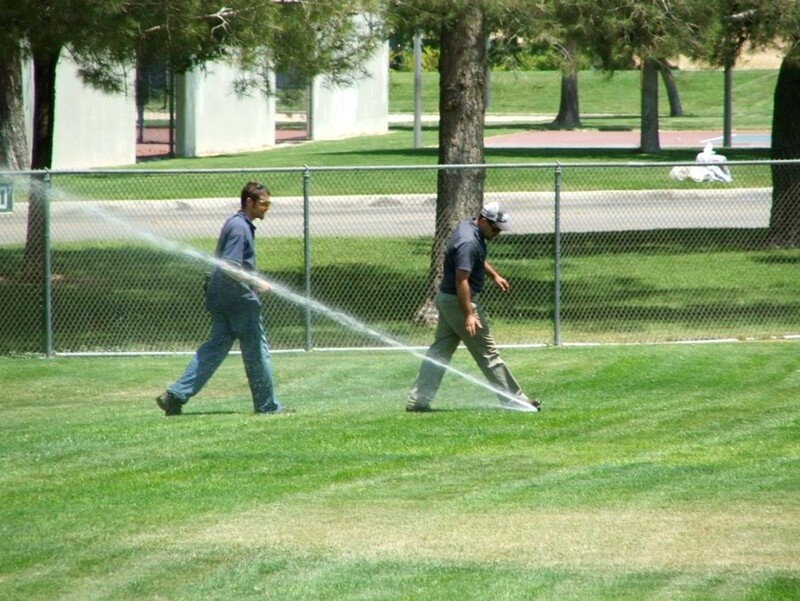 Misaligned spray head shooting water into a nearby obstruction or over the sidewalk or parking lot, instead of watering grass. 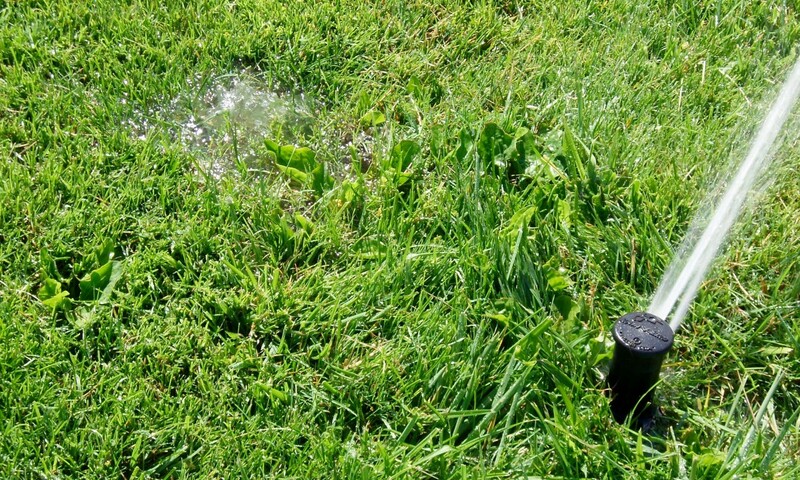 Water spurts between sprinkler heads––indicates a broken pipe (lateral line) that has already blown out the soil above it. 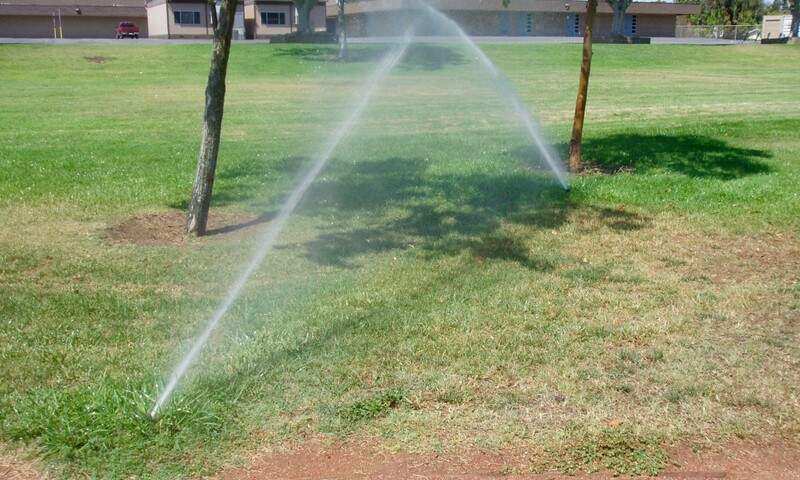 Spurts of water at the base of a sprinkler––indicates a broken seal where the nozzle or riser meets the supply line beneath. 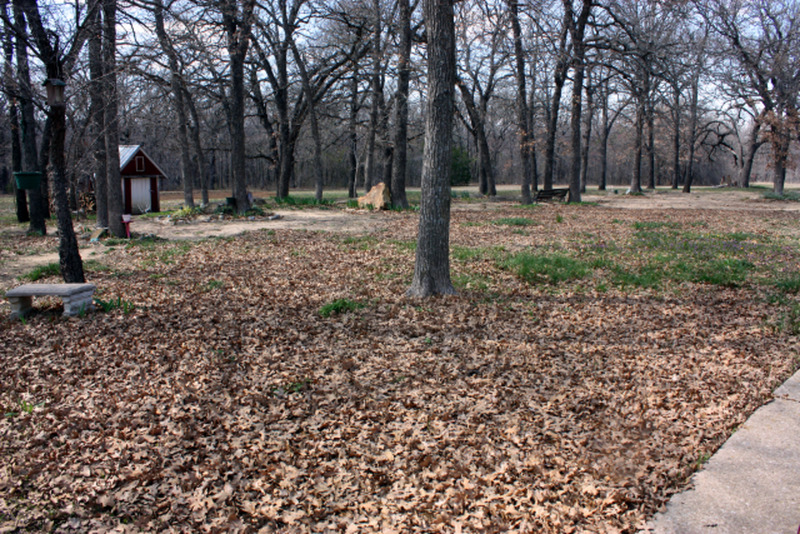 All of these problems are commonly found with large landscapes. They need to be checked for and fixed on a regular basis, at least once a month. Routine maintenance, in itself, will save you water. Once all the stations have been checked and repairs made, you can test the irrigation meter again. In the majority of cases, this is all you will need to do. But if the meter is still showing water being used, even when all water is off, you may have an invisible leak underground. In that case, you can run through the following steps with or without the equipment shown in the next section. Having the equipment makes it easier. Water Leak Microphone––This is a rod that you pass over the ground, or probe through it in spots, that magnifies the sound of water rushing through pipes. Once you understand what all the sounds mean, you can follow the water sound to where its intensity increases to find the leak. Leak Noise Logger––The hand-held logger is attached to the microphone probe. It records the intensity of sounds the microphone picks up. If you find it hard to determine in which direction the sound grows louder, look at the digital readout of your logger. Headphones––The purpose of headphones is to close out ambient sound and let you focus on what is being transmitted to you from the leak detection probe. Electro-Acoustic Testing Kit––This kit provides all of the above––a leak detection rod, reader/logger, and headphones to locate underground leaks with plastic or metal pipes. The testing rod detects the sound of water rushing through a pipe and helps you locate the source. It passes what it "hears" through a wire to your hand-held reader and to your headphones. By tracking the intensity of the sound, indicated on the reader, you can home in on the leak. Garden Shovel––You'll use a shovel to dig around the pipe, once you've pinpointed the location. Turn the stations on again, one by one, starting with the one closest to the main pipe where water comes into your property––usually located near the meter itself. Look at the difference in water pressure (the height and size of spray) between the station closest to the main pipe and the one next to it. If there is any difference at all, it should be a barely noticeable lessening as you go further and further back into the property. Test all of your stations this way, comparing the water pressure of one set of sprinklers with those of the station after it. If you have a hidden leak, at some point there will likely be a noticeable drop in water pressure. This means that some water is leaving the pipe in that station before reaching the sprinklers. If the entire station is noticeably lower, the leak is probably fairly close to the beginning of that station. If it doesn't get lower until closer to the end, then that's where the leak is––near the end. Sometimes the water gushing through pipes will be loud enough that, if your hearing is good, you can actually hear where the leak is. If not, this is where your equipment comes in. The microphone will pick up and magnify the sound of the water (or the pipe vibrating with it), and the meter in your hand will read the intensity of the sound as you move along the pipe. The most intense reading is likely the location of the leak. Flag it. The ground will likely be soggy, so look for that first. Mushrooms growing in that location and nowhere else are another potential indicator. If you don't have equipment, you will probably have to dig down in a few locations to find the exact location of the leak. When you think you're close, manually turn the valve that goes to that area on low. You want dribbles coming out of all the sprinkler heads, not a spray. This prevents water and mud from suddenly gushing up into your face when you've uncovered the leak with your shovel. Keep digging around the area, looking for the difference in soil moisture. When you find the leak, fix it. Then test the meter and that area (if you need to) again. 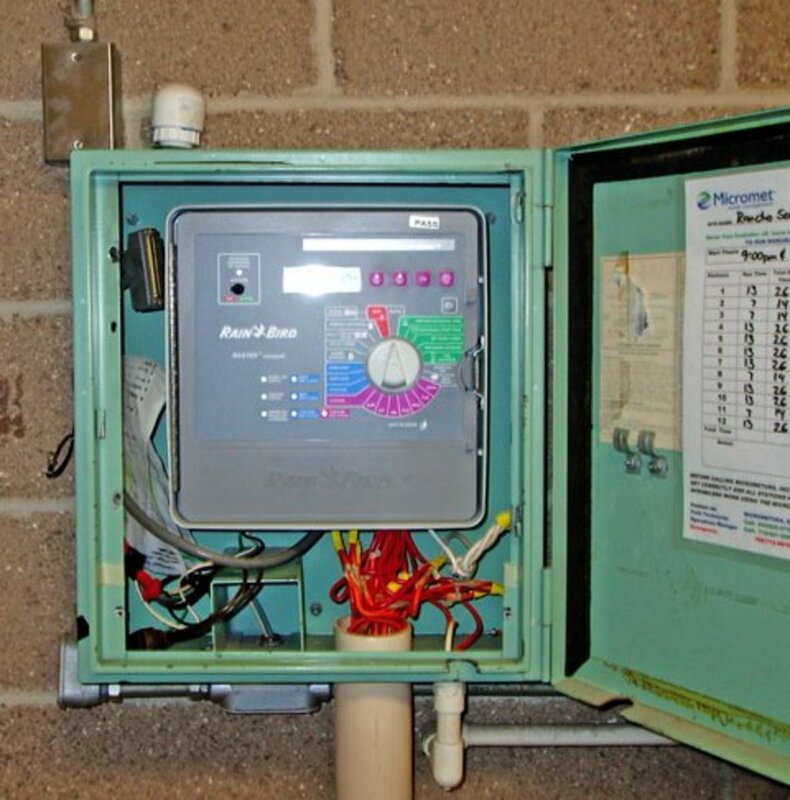 If you have tested all of your stations and water pressure seems the same, if you have found no floods and no area-specific patches of mushrooms or especially green grass, and you've heard no sounds of water leaking underground, but the meter is still running when all the water is off, then there may be a problem with the meter itself. In that case, you will need to call your water provider. Tell them all of the tests you've run and ask them to send someone over to check the meter. If it's an old meter, there could be something wrong with it. If it's a newer meter, it could have been improperly installed. If everything is ok when they check, it's time to call a plumber. Whatever results and whoever pays, you will still have benefitted by each problem discovered and fixed in the process of locating the leak. You can benefit still further by calling for a water audit. A water audit will show you what kinds of fixtures can be retrofitted to use less water automatically, and will provide you with a landscape watering schedule tailored to your area and the types of plants you have. 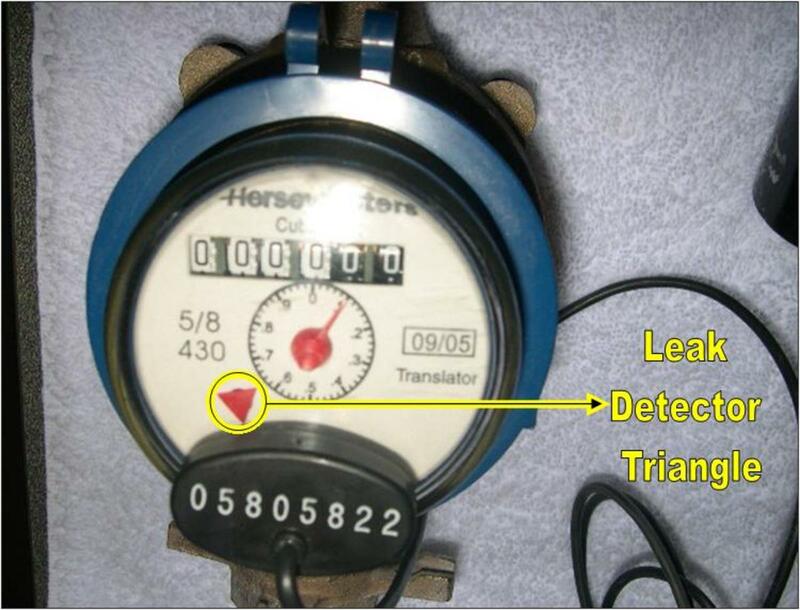 Some water suppliers give audits free of charge, so be sure to ask while their technician is there checking the meter. Many suppliers also offer a complete indoor-outdoor audit as part of their water conservation program. It wouldn't hurt to ask about that too. Good luck! How do I find an underground leak on a sprinkler drip station? With the irrigation valve on, water runs through my main pipes to the valves, and if the valves are operating correctly, water does not go to the sprinklers. All my boxes are dry, and there is no indication of leaking at the sprinkler heads or soggy ground. Is it possible that there is a leak in the pipe(s) going to the valves? If so, how do I find that leak? 1. The valves could be blocked. Maybe a diaphram inside has gone bad, or the wiring is damaged. Check all your valves to see how many are allowing water through when they're open. 2. If only one is a problem, there could be a leak in the pipe between the shutoff valve (the main valve to the sprinkler system) and the zone valve in question, which is what you're asking. That's going to be trickier. I would call a plumber for that. I replaced my irrigation system in April, 2018. I use ground water, so a underground pump feeds the manifold. Since then, half of my backyard is constantly muddy, not just wet. The other half of my backyard is wet, but not as muddy. I have not used the backyard sprinklers for two months because of this problem. The company who installed the new system has tried to figure out the problem, but to date, have not. What is causing this? Your description sounds like either the annular space around the well casing was not sealed properly or the well casing, itself, has sprung a leak. You might also check the pipe leading from the well to your irrigation system to make sure it was sealed properly. Let me know if you've already checked these and your yard is still flooding. Bummer, Bill! Turning off the valve should have stopped water from accessing the leak but, of course, if it didn't then the valve must be broken too. Most properties only have one main shutoff valve that turns off water to the entire property. Does that one not work for your leaking system? Or are you looking past it for a smaller supply shutoff valve that leads to the irrigation system itself? In May 2015 we bought this home. We realized that an old irrigation system's underground pipe was leaking and we turned a rusty underground valve off near the leak. Unfortunately couldn't find a box or shutoff for this system. Now the leak is nearly a geyser. I wish we could find a shutoff. * Identify which stations go with which meter (if you have more than one) or be prepared to check all meters at once. * Turn all water off that's measured by that meter (or all of them) for about 20 minutes. * Check the meter gauge/s to see if the needle or counter is moving. If it is, it means water is being used even with all the water off, i.e. you have a leak somewhere. This is so important to conserving water and lowering the water bill, watergeek! We don't have a sewer system (we're hooked up to septic), so we don't have a bill for that particular utility. We always monitor our taps to be sure they aren't leaking! Definitely going to lower my bill... I can't thank you enough! A robotic lawnmower? How does that work? Have you written a hub about it, by chance? You're welcome. I hope it helps your husband and that you save a lot of money on your water bill.